Spiritual Fatherhood in Romanian Orthodoxy. By Nicolas Stebbing: 347 pgs. 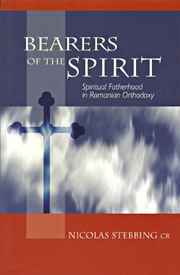 This book is as much a study of the way Orthodox Christians understand and value their spiritual fathers as it is a study of the spiritual fathers themselves.